Everyone knows that a pilot hole in a piece of wood can be a game changer. With a pilot hole, this split might not have happened and this part of the project might not have required being made over again. Making a path for a screw might prevent your ruining an important piece of a project, a split in a board (especially at the end), a broken-off screw, or strained muscles from hand-driving a screw through dense wood fibers. 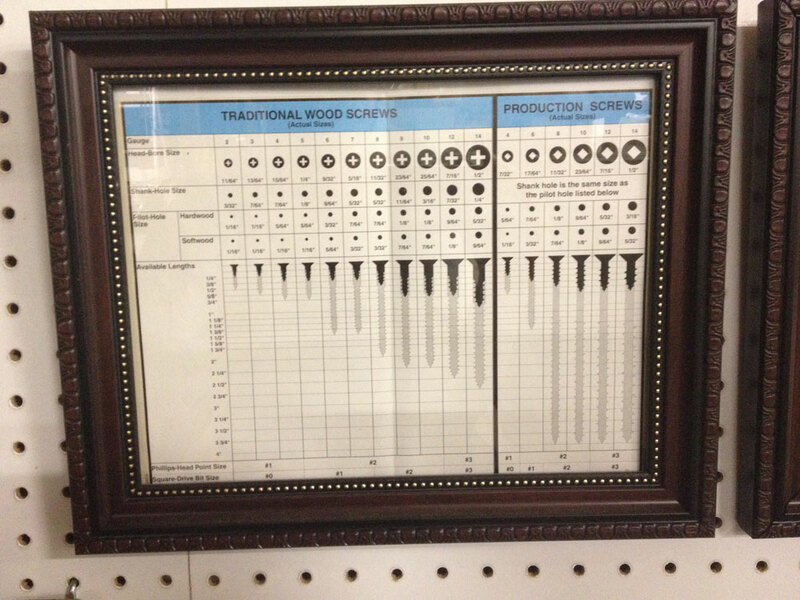 Charts exist to guide you on the proper pilot hole size for a variety of screw types in various materials. These charts are very helpful, but not very mobile. 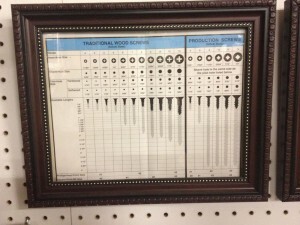 Pilot hole charts can be photographed and stored on your phone, or pulled up on the Internet. However, if you find yourself away from the shop and needing a pilot hole, your drill index can help. The hole each bit resides in is a snug fit. Remove the bit and find the smallest hole the threads of your screw will go into with just finger force. That bit will give you a perfect pilot hole in most hardwoods. For soft woods like spruce, cypress and pine, experiment with the next smaller size bit for the pilot hole. The soft fibers will grip the wood more tightly and reduce the likelihood of fastening failure. 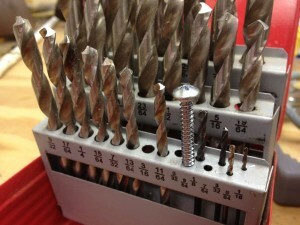 If I have to pay extra for drill bits to get them in an indexed box, I will. It’s that valuable. If I’m putting this screw into a hardwood, like oak, I’ll use a 9/64″ bit for the pilot hole. If it’s going into spruce, I’ll drop back one size for a tighter fit, to 1/8″.